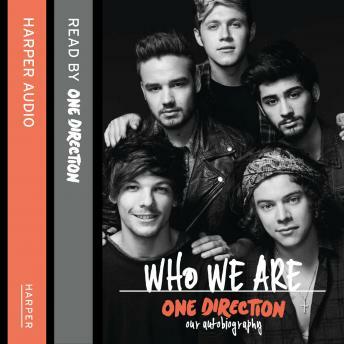 In their first in-depth autobiography, pop sensations Niall, Zayn, Liam, Harry and Louis tell the story of their lives. From nervously auditioning for the X Factor and meeting each other for the first time, to filming their hit movie This Is Us and releasing their bestselling third album, Midnight Memories, it really has been one incredible journey. For the first time, the boys' loyal fans will be given an unprecedented insight into all of it, from their humble beginnings and lives before the X Factor, to recording their first single, touring the world, winning awards, breaking records, and much, much more. Taking you behind the scenes of the creation of their music, their tours and their incredible friendship in their very own words, One Direction are ready to lay themselves bare in a way we've never heard before.